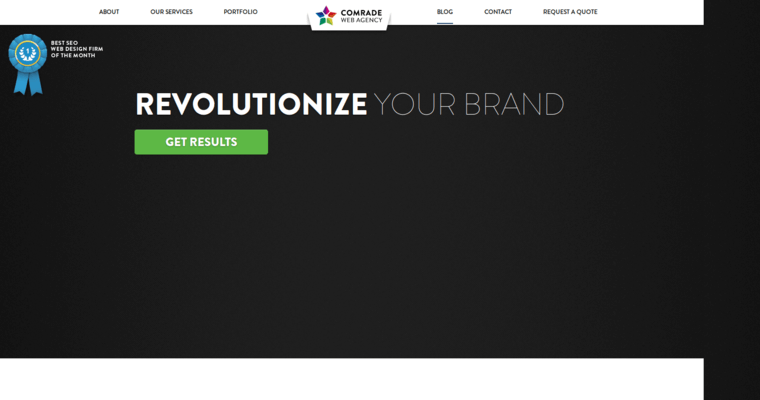 Comrade Web Agency offers services on its website to help start, design, develop, or optimize a website. 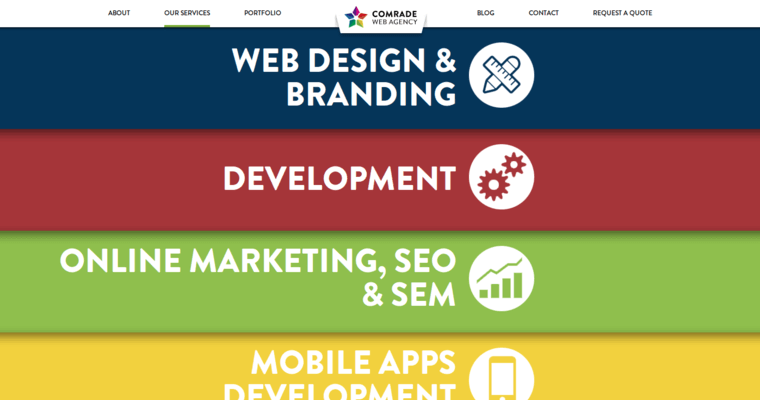 Whether it's website design, code optimization, organic search engine optimization, or even email marketing, Comrade Web Agency is likely to have any service a client might require. 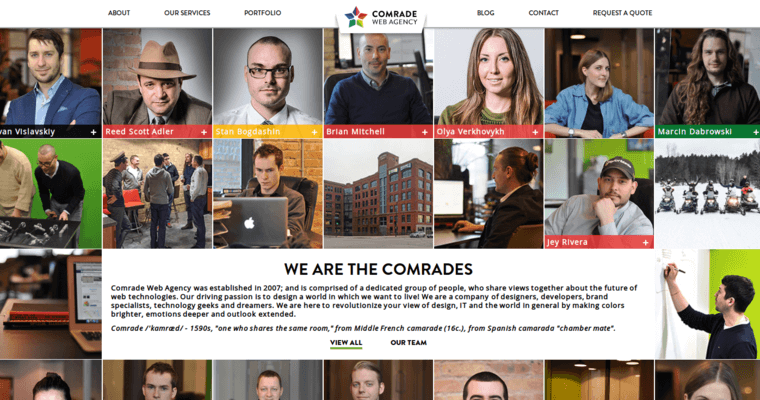 Recently named "Best SEO Design Firm of the Month" for the USA, this firm maintains a high standard. Using their site, clients can read about the services offered, read the firm's journal and about page for more information, and even request a quote if they like what they see. Services are broken down into their steps so that the client can understand Comrade's process. The firm also offers an extensive portfolio of previous work, organized into categories for Web Design/Development, SEO, Branding, and Mobile Apps. The site is a breeze to navigate and offers a wealth of information about the firm's services, previous work, and its focus on customer satisfaction. There is even a handy FAQ page in case customers have any questions.